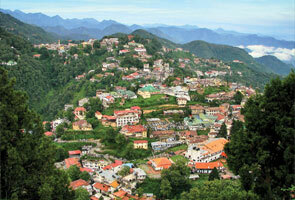 Pithoragarh- an amazing place and beautiful small valley attracts hub of tourists every year. If you really want to experience the amazing natural beauty then visiting this place is a good option. Divine deities, fabulous glaciers, cascading waterfalls, natural reservoirs surrounded by beautiful plants, noisy flamboyant rivers and serene lakes defines the outstanding charm of the place. The place is apt for adventure lovers i.e. 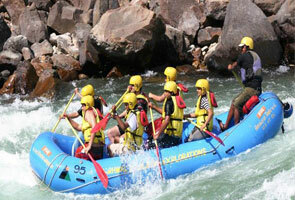 in case you’re interested to perform varieties of adventure activities such as mountaining, trekking etc. There is a river originating from this place is apt for water sports and you can find wealthy variety of flora and fauna in its lush jungles. Due to exceptional beauty, Pithoragarh is also known as 'Miniature Kashmir' and this place is eastern most district of Uttarakhand. The place is surrounded with China in the North and Nepal in the east. Along with that you can find several royal peaks such as Nanda Devi (east), Nanda Devi (west), Nandakot, Trishul, Panchachuli group, Rajrambha etc. It is highly recommended for nature lovers to come this place if they’d like to capture the best memory of their life. The best time for you in order to visit Pithoragarh is during the months of March to June and mid-September to October as weather is quite pleasant during this time and you can experience the nature’s bounty. In summer you’re required to bring light woolens and in winter it’s required to heavy woolens as the temperature is quite low at this time. 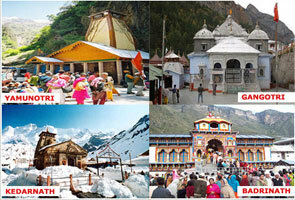 Starting from April to June you can expect summer season at Pithoragarh. Temperature of Pithoragarh during summer is in between 8-30°C and this season is concluding as the best time to visit the place. Don’t forget to bring small woolens at this time as you may come in requirement of this. Starting from December to March you can expect winter season at Pithoragarh. Temperature of Pithorgarh during winter is in between 4°C and 8°C. Please don’t miss to bring heavy woolens at this time as you will experience too cold. Monson starts at Pithoragarh in the month of August and it ends in the month of November. 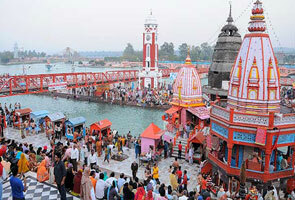 The place is pleasant to stay in the month of Monsoon especially with your beloved ones. Nights are more chilly rather than day at this place. Cuisines are the most vital aspect when we’re going to any new place. You can find several varieties of mouth-watering cuisines here at Pithoragarh. For providing you the best cuisines experience several restaurants are available here those are committed to offer you not only ultimate cuisines but also exceptional taste. Although, there are not so many shops available in Pithoragarh committed to offer you the best shopping experience but still you can find some beautiful products here with affordability of price. You can find various decorative items, brass items and several other categories of products at very minimal price. Simalgair , Dharamshala, Naya Bazar, Siltham, Purana Bazar and Cinema Line are the name of places where you can find varieties of items. In the market of Pithoragarh, you’ll be also capable to see the mixture of Kumaoni and Tibetan knitting art in products.